Check out Sports for Schools! They are a social enterprise that run fitness events at over 1300 primary schools every year all over the UK. Each event is led by a top international athlete that has competed for Britain at an Olympic Games, Commonwealth Games, World Champs or European Champs! This is an amazing opportunity to meet some of the world’s best sportsmen and women in the flesh! Children get involved with some fun physical exercise that includes spotty dogs, leg drives, push ups and star jumps! Once all the exercise is over and done, all of the kids involved are treated to an inspirational assembly given by a top athlete. The money raised through sponsorship at these events goes to the school so they can invest in brand new PE equipment and it also supports a scheme that helps athletes fund their training. 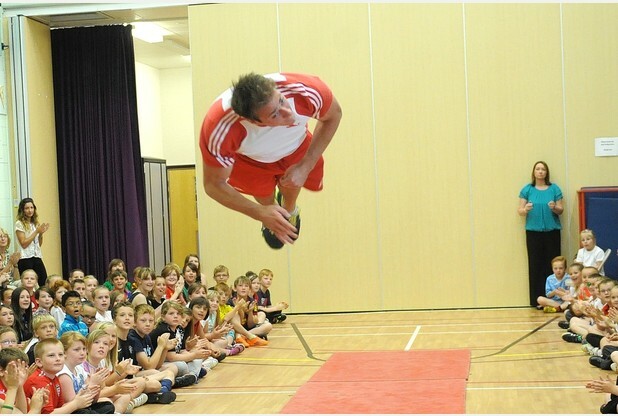 Since it started Sports for Schools has raised over £1.75m for new PE equipment for schools! We’re teaming up with Sports for School on Fun Kids so you can get a shout out for your school! All you have to do is let us know your school name and leave us a message and you could be featured on The Breakfast Show with Sean. Click here to get a shout out for your school on Fun Kids!